Yes and no. Truth be told, nobody needs these programmes, not if they are highly motivated and have all the time in the world. Yet this isn’t always the case. It’s like exercise and weight loss videos. Of course you could exercise and eat better without the videos, but for some training videos add structure, motivation and a basic education. Cycle training services do the same. Before we go any further let’s cut the crap: there is no miracle answer to gaining free speed other than hard work and training. However, many training tools on the market can help you train better by providing structure and measures to ensure progress rather than burnout or stagnation. I began following a cycling training plan a year ago. Prior to this I was merely riding and pretending to be training. Since then I’ve tested Strava Premium training plans, Zwift workouts and finally, TrainerRoad. I’m only using one of these now. I’ve been subscribing to TrainerRoad, the online workout software, for almost a year. What does it do? It’s essentially an online cycling workout and training tool that, when combined with a turbo trainer and many tears, provides structured and measured training in the shape of intervals, lots of bloody intervals. The number one feature for me as I have no power meter. Yeah, I’m poor. Training with power ensures your workouts are consistent and completed as prescribed. Be warned, once you have a power number you’ll become addicted to increasing it. Sure you can train with heart rate and perceived exertion but you’ll never really know if you were nailing the power required, especially for sprint intervals where HR lags effort. HR is influenced by your body (goddamn it) and those trivial life distractions, namely sleep, diet and health. Caveat – I’ve not used a full TrainerRoad training plan. There’s a wide range of training plans, which typically follow the tried and tested base, build and speciality phase as pioneered by Joe Friel in his book, the Training Bible (worth reading before you sign up to these training programmes). Whether you are a beginner, time crunched or advanced cyclist there’s a plan for you. There’s also speciality plans which allow you to train for century rides, criterium racing, hilly road races, general road races and time trials. Pretty much everything but my preferred format of short, sharp hill climbs. Why don’t I use a training plan? I find them too prescriptive, even the time crunched plans. Everybody is different and I do not believe a single training plan can work for everyone as we all react and recover differently. Besides, I’m a control freak, I like to think the plan is mine, all mine! Training plans are also impractical and will come to dominate your life and riding. I like to cycle outdoors, and, you know, enjoy riding. Many of these plans will keep you enslaved to the indoor hamster wheel. Helpful over winter perhaps but not when the sun’s shining or once yet another sprint interval has driven you insane. Tip: you can suspend your TrainerRoad account if you only want to use it during specific months e.g. winter. The plans are great however if you’re short of time. Plus they’re a great place to begin if you’re new to cycling workouts as they will help you learn how your body responds to intervals and you will quickly discover how to adapt the plan. Before long you’ll be ready to build your own training plan based on your experiences. TrainerRoad has hundreds of workouts for every possible training scenario. This will keep your indoor riding fresh as you could easily ride for years without repeating the same workout. The huge choice also has its downsides as it is quite an effort to browse through the workouts, even with the very good filters supplied to narrow down the choice by tempo, endurance, sweetspot, anaerobic etc. Not all of the workouts are tagged consistently either which means you can get odd filter results. The biggest problem with some of the workouts is the lack of a proper warm-up – especially the shorter sessions where you are expected to begin sprinting after a short five minute warm-up. None of the workouts have a warm-down either so an hour work-out in TrainerRoad is at least 1hr 10min with a 10 min warm down. Creating your own warm-up and warm-down is easy enough but you cannot queue up workouts in TrainerRoad so it’s a lot of faff. The user interface is simple and the best I have seen. Forget about the child like presentation in Zwift or the 1970s presentation in Golden Cheetah, the clean, easy to read interface allows you to follow the workout easily. You can play videos at the same time to distract yourself too, something I don’t do as I like to focus on the pain! I find intense workouts require huge amounts of concentration to hit the power targets. The onscreen text commentary is also very good with a friendly, informative and humorous tone that will keep you motivated and guide you through the workout. Top marks. TrainerRoad provides a limited post-workout analysis. There’s training load totals, individual analysis for each part of your workout, power PBs, and that’s about it. If you ride outdoors there’s no way of importing your rides to keep a full training diary which pretty much makes all of this data next to useless! Strava do this well with their premium fitness and freshness feature which allows you to use power and heartrate to get a total stress score and monitor your tiredness, form and training load for all of your rides. Other more dedicated training tools like TrainingPeaks give you much better data if you own a power meter. You can easily create your own workouts in the separate workout creator tool either using the drag and drop feature or simply by entering the numbers you want to hit as you would in a spreadsheet. The latter is the easiest, unless you are dragging pre-existing interval segments like warm-ups into your new workout. TrainerRoad really does excel here with a great, easy to understand interface. Will TrainerRoad make me a quicker rider? My FTP when I began using TrainerRoad was 278. It peaked at 333 and I’m now at about 324. That’s an incredible 19% increase from my base to peak. So I must be quicker right? TrainerRoad is a speed and strength miracle, yeah? Well no, it’s not that simple. Why is my FTP higher now? Training of course! Yet this is not the only reason. I began training in the off season. You know the time. Belly wobbling like trifle, bursting with Christmas turkey, barrels of booze and giant pyramids of Ferrer Rocher chocolates. A time when your base fitness is so low reaching for the TV remote increases your FTP. Secondly, FTP testing is more of an art than a science. You have to learn how to FTP test properly and consistently before reliably benchmarking your FTP numbers. How long does this take? I reached the point of testing properly after seven FTP tests. And that’s not to say each one is now perfect. Every test is a challenge to pace yourself sufficiently, so if you’re a time trialler you will have a distinct advantage. What do I mean by test properly? First, you have to be comfortable pushing as hard as you can for the full duration of the effort. This only comes with practice, it’s a very fine line between going too slow or too hard. Go too hard and you’ll blow up before the end of the test. Too slow and your FTP will be lower than your full potential. How do you know if you are testing properly? Well I enjoyed my first few FTP tests. If you’re enjoying an FTP test then you are not doing them properly! They should be painful. You should feel like you can give no more. Every ounce of energy should be expended. Pacing an FTP test is tricky. Most beginners will be risk adverse, starting slowly and finishing strong. A few tests later and you’ll challenge yourself to go harder at the start, invariably going too hard and thus finishing slowly. The latter tactic is a very painful lesson you won’t want to repeat. In addition to pacing and base fitness, there’s many other variables to consider. You must ensure the conditions of the test are consistent. Same turbo, same set-up, same tyre pressure, same time of day, same amount of sleep, same amount of EPO etc. So have I become a quicker rider thanks to TrainerRoad? Yes, but not as much as the big numbers suggest. If nothing else I’m riding more often than ever plus I joined a local cycling club, which has also helped boost my fitness, although due to a lack of specificity, my FTP with the club actually began to dip. Ultimately there’s no hiding all of those shiny gold cups on Strava and I’m also beginning to claim personal bests on my local hill climbs regardless of wind direction! I feel stronger too. Both my top end speed and cruising speed on the flat are demonstrably quicker. Could I have done this without TrainerRoad? Undoubtedly yes. So why do I continue to pay my TrainerRoad subscriptions? TrainerRoad has made me a better rider. How so? Thanks to virtual power I have a greater understanding of my effort and pacing. I am able to target specific training zones to improve endurance, speed and power. I have a much better understanding of the training loads my body can sustain before rest is required and thanks to virtual power my workouts are more precise, reducing the risk of under or over training. The structure of TrainerRoad makes my training more consistent. Exciting eh? Zwift is great fun but is currently no match for TrainerRoad when it comes to structured training workouts. Why? TrainerRoad simply has a bigger workout library and better search filtering. It’s also much easier to follow workouts and create custom workouts in TrainerRoad, plus the presentation of workouts is much better. Where Zwift excels is for longer turbo sessions. For anything over an hour I’d prefer Zwift as the immersive gaming experience helps the time pass faster. If I wanted to train for time trials, i.e. long, tempo and threshold efforts, I’d definitely choose Zwift. However TrainerRoad wins for the shorter, time crunched training plans. Full Zwift review here. What about Strava? Strava Training Plans are too intense for my liking and fairly repetitive once you have completed one. However they can be very motivational with the daily emails from your ‘virtual coach’ and they are a great way for beginners to see if you enjoy structured turbo training. You can read a full review of Strava Training plans here. TrainerRoad does a few basic tasks very well but the overall feature set is currently pretty limited. There’s a distinct lack of post ride analysis. I need to use tools like Strava Premium fitness and freshness to monitor my training load over time because TrainerRoad doesn’t account for outdoor rides. That’s yet more money each month. There’s still not a good cycling training service on the market for cyclists who don’t have power meters. Probably because most ‘serious’ cyclists will have a power meter and so will subscribe to specialist software like TrainingPeaks or PerfPro. Priced at $12 a month using the pay as you go model, that’s about £9.35 in UK money, which since Brexit is actually pretty expensive for what is a basic service. The feature set of TrainerRoad is very limited but the features it does have are best in class. You can of course sign up for the full twelve months for $99 which brings the UK monthly cost of TrainerRoad down to about £6.25. More like it, but I only value the service at about £4-5 a month. The development cycle and new feature release is also very slow. Half of their customer base had been waiting for an Android app for goodness knows how long (recently released) and you get the impression of a single developer in his man shed writing code long into the night after his day job. Which is fine for a start-up yet these are not start-up prices. Writing this blog I’ve realised the full monthly subscription cost of TrainerRoad is actually high given the exchange rate at the moment. I thought I was paying 50% less than the actual cost! Perhaps TrainerRoad could consider charging customers in their own currency? So should I continue to pay for TrainerRoad? I’m torn. I’m a light user of TrainerRoad. I use it once a week mostly, do not follow one the inbuilt training plans and don’t use it with any videos. All I’m getting are some pre-made workouts and virtual power. I know I can create my own workouts easily enough for free using Garmin Connect, Golden Cheetah or any number of apps on the market. The novelty of having a massive workout library soon wears off because there’s only so many workouts in the world before they begin to get repetitive and become variations of other workouts. I also know I can get free virtual power using Golden Cheetah, the free cycle training programme for people with a mathematics degree. It’s free and full of features, but the user interface is pretty complicated and daunting if you are time poor like me, aka lazy. So why pay? I don’t follow training plans so where’s the value? Convenience, ease of use and virtual power are the big factors for me, especially the last one. However I am going to re-evaluate my subscription which is now costly enough to motivate me to spend more time learning how to use the free Golden Cheetah courtesy of some YouTube tutorials. At the moment it’s a bit of a luxury to pay so much money to train with power and perhaps a better investment would be the expensive power meter option so I can train with power both indoors and outdoors. Watch this space! What about you? More of a Zwift fan? Bkool? Or dare I say it, cycling outside?! Ha ha, not sure I’ve been a good enough boy, Santa’s not stopping this year! TR’s virtual power has been great but yeah, it only gives you half of the picture and makes you realise what you’re missing when out in the great outdoors. Stupid injury? I’m intrigued! Is it like a pro footballer I heard about when he dropped a bottle of aftershave on his foot which put him out of action for six weeks?! It was a self inflicted cycling injury, due to impatience. Lessons have been learned and bruised egos along with body parts have healed. I finally got hold of a power meter so going to try out the Strava Gran Fondo Beginner training plan. Been briefly using the Fitness graph on Strava and finding it very useful for keeping the legs fresh. I couldn’t bare to sit inside on a turbo though so TrainerRoad is just a non starter with me. Welcome back to the road! Will be interested to hear how you get on with the power meter. I began looking at them but couldn’t bring myself to spend that much cash! I went with a left only power meter. It was the only way I would be able to get one. Dual sided are just out of my financial reach as a leisure cyclist. When you have external factors such as temperature or even caffeine affecting your heart rate, I felt if I was to do some serious training then power measurement was the only way to go so that’s why I’ve held off on starting the strava plans. I’ve been reading *the* power meter book too which is interesting. It offers a different way to test your FTP compared to the strava/CTS variant so I need to choose which I’m doing to do… or maybe try both at different stages. I’ve been using Garmin connect for almost a year. I love it. I’ve also been told that a power meter is the best. I haven’t invested in that yet. Always prefer riding outside but when I’m stuck inside I use virtual active videos. That enables me to ride all over the world without leaving my living room. I’ve definitely gotten faster since I started last January. Creating workouts in Garmin Connect is actually very good, nice and simple to add repeats to your intervals. I may switch back given it is free. Which videos do you use? I use videos from virtual active and from indoor cycling. They have workouts from all over the world. New Zealand is my favorite. You can use their trainer or just use the scenery. I went on amazon to get the videos. I also will workout to football or basketball games but sometimes that doesn’t even keep my interest. But as you say, nothing beats the great outdoors. I still rattle out the winter K’s on the rollers, with a podcast or a few tunes in my ear. At some point I might get on board with Zwift or Trainer Road – I’ve nothing against them – but i’m definitely resisting power meters, I don’t need that extra number to obsess over. You say it’s £9 a month to be quicker, stronger and better looking…so for £3 a month can I just be better looking? Ha ha, £3 a month to look better, that’s called hair gel! I’m intrigued about rollers but wonder if I would get bored without the intensity? You can put down some power and intensity on rollers, it just takes a little (a lot) more practice and skill! I think watching all those YouTube roller fails has scared me! Every year when the leaves drop, the air becomes frigid and the rain turns to freezing rain I start dreaming of being able to fly off to some warm place with hills. Ooh spin classes, I’ve heard all kinds of horror stories about how brutal these can be! Would love to get down my local velodrome, just need the dedication to go through all of the perquisite certification, yawn! The training plans are very good- I like the progression they give, particularly the ‘Sweet Spot’ base and build modules. It worked really well for me this year. One interesting benefit I found was that I got to know how the various intensities feel which meant I could pace fast rides and hills much better. I reckon the combination of this and a HRM is more than adequate for amateur use, not that it stops me trying to justify a power meter. The integration with Strava is excellent, though I take your point about needing Strava premium to get the suffer score/fitness and freshness. I would say categorically using TR made me a quicker rider this year. Conversely, I’ve become a slower rider as the year progressed when I was not using it! I can also categorically say it did not make me better looking. Ha ha, thanks PRS boy. You’re obviously not working hard enough if you’re not better looking! You make a good point re: learning the intensities. You can ballpark map these to HR numbers too when outside. The data freak in me disagrees strongly, my wallet less so! Just why are power meters so expensive? I’m lucky enough to have a power meter so going to try Zwift for the remainder of the year (while it is free) and see how that goes. So far it’s promising, but more for just getting solid miles in rather than structure. Still, got to be better than no miles. I like Zwift for longer miles, will be back on it myself tonight given their two month free trial. Will try out the new London course, might be a little surreal riding my local roads via my laptop! Not tried Sufferfest yet, to be honest the intensity of the workouts puts me off, way too intense for me! Perhaps outside of my regular training plan now it’s winter I can give one a spin. I’m getting a hometrainer at the start of the new year. Not really sure as to which training programme I want to follow, and what training software I need. 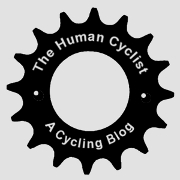 I followed the New Competitor programme from the Time Crunched Cyclist, by Chris Carmichael, at the start of this years season (end February) and I caught up with my brother extremely fast, even though he had been spinning the whole winter. Thanks Cawersk, I’ve completed the Time Crunched plan too. It’s great for quick, short-term fitness boosts as you suggest but it’s too intense to maintain through the year. Trainerroad plans will balance your workloads better and give you a sustainable, more varied, plan. Good luck, welcome to the glorious world of indoor training. And pain! Can the time chrunced plan be used as an pre season turbo trainer plan, or would you still recommend Trainerroad? I’d recommend TrainerRoad, or, you could adapt the time crunched plan. Early in the season you want to be focussing on either base and/or sweet spot (or steady state as the time crunched plan refers to them). Base is tough indoors so you’ll get the best return from sweet spot, consistently training just below your threshold. So you could use the timed crunched plan but swap the power intervals for more SS, CRs and OUs. Trainerroad has a specific sweet spot base programme which would be ideal. Why drop the power intervals? They will come later in the season once you have established a solid base and increased your threshold. The all out intervals are great for peaking or sharpening up for big events but can leave your tired if you begin them too soon. Good luck, and Merry Xmas too! I have used TR for years (even before owning a power meter) and I agree, following that simple graph causes you to focus on power and keeps you motivated to maintain it. I have tried Zwift for similar workouts and was actually distracted by all the other riders. I found your review after doing a search for trainerroad popularity. This was prompted after receiving the March 2017 issue of VeloNews. I am upset that in their coverage of online training tools they left out Trainerroad! They covered Zwift, Best Bike Split, Today’s Plan, Stages Link, Training Peaks, Strava, and The Sufferfest Training Center App. So I’m wondering just how many people are using Trainerroad, or if VeloNews somehow has a bad relationship with them or made a significant oversight. Thanks Mike, interesting they left out TrainerRoad, must be am oversight. TR is pretty popular with club cyclists but I doubt it has the user numbers of Zwift. I’ve never heard of best bike split or today’s plan. I’ll check them out. I’m still using TR, it’s just so simple but I do think it needs to up its game if it is to keep pace with the market. What I found amazing though is just how much more efficient the indoor stuff is….I generally don´t bother going out unless it´s for 100km and about 1500meters here…most of the guys think its quite normal to do 4 or 5 hours here on a ride. But the think is with two young boys (and all the attendant coughs, sneezes and tummy´s throughout the year) the use of the wattbike and TR is not only more time efficient but also more measured. Whereas even with the wattbike, before TR I would go in the cellar, hammer myself, come upstairs and hang around with the boys – and get sick. Similarly, on a really hot day I would go out and do a 120 4-5 hour hilly ride, then do it the next day and be wasted, then feel ” a bit slow”, or not really see any major improvement…duh…..it´s also worth noting that those 4 hours outside often equate to about 100-150 TSS on strava….about the same time as a hard 1 and a half hours on the wattbike and TR. Overall I found TR very impressive….I used it for the first time properly last winter and pushed my FTP up to the 300 mark, which at 53 and 78kgs and watching what I put in my mouth (not obsessively – I like my Belgian beer too much for that! ), come Spring I felt better than ever before. I did my usual Spring routine of the Northern Classics like Omloop Het Nieuwsblad, De Ronde,(my 5th) Gent Wevelgem, Roubaix (my forth) and then some of the hilly Belgian Ardennes Sportives like La Chouffe and Tour of Namour (both around the 170km and 3000meter mark) and found I had much better sustained, repeatable power. Thansk Lee, it’s really inspiring to hear that we can still improve as we get older. I’m very envious of all those Classics you’ve ridden! One of the main attractions of indoor cycling and TrainerRoad is definitely the time saving and focus. Sure, I love riding out on the road but there’s no beating a focussed indoor session to maximise your time and hit your goals. Been using TR for few years and also elevated my FTP up just above 300 (at 65 kg). Makes me a good climber! It only takes a few hours per week an comes with a price yes. I try to look outside here and as a big fan of the TR Podcast I believe some percentage of my payment is to make that content. It keeps me motivated as well. I also came be chance to your review and might share my experience. I got rollers this christmas (Galaxia) and tried out zwift and trainerroad on my iphone. I just have a cadence, speed and heartrate sensor. Zwift is just to distracting but I hooked up immediately with Trainnerroad. The first FTP test only gave 144 watts or so but I continued the plan. After a week I switched tires: from the gravel tires (Override 38mm) to my “road” tires Gravelking 32mm. I inflated to 6 bars and surprise: the watts went up. Really a lot. I did a new FTP which gave me 260 (at 68 kgs, I am 39) and I seems consistent with the training rides. After a first outside ride I gave in and bought a 4iiii sensor (it is in sale at 360 EUR at the moment) because I want to compare data and use power data to pace my rides now. Once you started you just keep doing your sessions, I ride 4 to 5 times a week once the kids are in bed. I just dring a protein recovery drink after, take a shower and go to bed – really sleep much better now. I would still recommend to use Trainerroad event without an actual powermeter, the virtual power is quite accurate, asuming you are using road tires the numbers are quite realistic. Good to hear you can sleep after a late night session. I find late night sessions give me too much adrenaline and I can’t sleep for a while afterwards! Thank-you for the blog- was wondering if you had any update in your opinion in the intervening two years. Having just got into cycling looking at using TR going forward into the New Year. Hi NOP. I still use TrainerRoad every year. It’s improved since I first wrote this blog too. There’s a training calendar function and lots of plans ready to go, plus there’s better stats. Still my go to tool of choice for interval workouts. Would still use Zwift for longer unstructured sessions. I’d recommend trailing both to see which you prefer – some prefer the interactivity of Zwift whilst more goal focused riders prefer the simplicity of TrainerRoad. Does this look like a reasonable starting point ? That looks good and is pretty much my plan. Keep the workout intensity low at the beginning of the training plan until you are confident you can handle more. You shouldn’t really be attempting any eyeballs out intervals until much later next year. Good luck!